During March 2017, King Salman of Saudi Arabia ended a six weeks tour in Asia with a state visit in China and a meeting with Chinese President Xi Jinping. This visit included the opportunity to start the negotiations about the integration of Saudi Arabia to the Chinese New Silk Road Grand strategy (Michael Tanchum, “Saudi Arabia the next stop on China’s maritime silk road”, East Asia Forum, 22 March 2017). This move corresponds to a convergence of the Chinese grand strategy with the “Saudi Vision 2030”, and seems to be the start of a “Saudi-Asian pivot”, which has important geopolitical consequences. This is a massive international power shift, because it supports the meeting of Saudi and Chinese strategic interests. In effect, the Arab mammoth oil producer looks for ways to diversity its economy and its alliances, while China looks for ways to satisfy its huge energy needs (Michael Klare, The Race for What’s Left, 2012). To this end, China extends the New Silk Road (NSR) to new countries, already succeeding with other Gulf countries, such as the UAE and Kuwait. The specificities of the Chinese NSR and of the novel grand strategy devised by Saudi Arabia create and deepen the existence of converging strategies for the two countries, as we shall explore here. 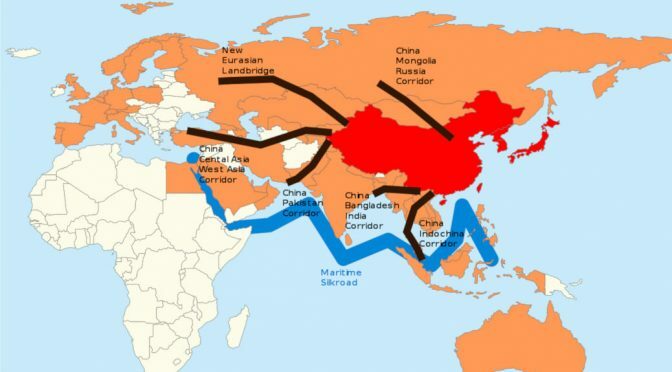 As we previously did for the UAE (Jean-Michel Valantin, “The UAE and the Chinese New Silk Road”, The Red (Team) Analysis Society, April 24, 2017), we are going to focus first on the reason why and the way the Chinese New Silk Road and the Saudi grand strategy converge, as well as on the geopolitical meaning of this convergence. We shall also look at the way that confluence supports the emergence of a new kind a sustainable security for both countries. The Sino-Saudi relations are established since 1990. China opened a representation in the Saudi Kingdom while the Cold War was ending (Wang Jin, “China and Saudi Arabia: a new alliance?”, The Diplomat, September 02, 2016). From the 1990s onwards, crude oil exports from the Kingdom to China has been instrumental in the relationship between the two countries. Things are, however, now changing, especially in regard to the Chinese New Silk Road. 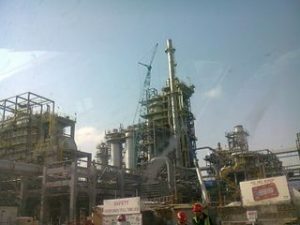 Group Corporation, in order to build two refineries, one in the Chinese Fujian province, and one in Yanbu in Saudi Arabia. These refineries will further improve the petrochemical capacity of this Saudi port-city located off the Red Sea coast (Michael Tanchum, “Saudi Arabia the next stop on China’s maritime silk road”, East Asia Forum, 22 March 2017). This move is quite important for Saudi Arabia. Indeed, Saudi Arabia is the first oil supplier for China – almost 67% of China’s oil import has its origin in the Saudi Kingdom, while China is the main destination country for all Saudi exports ( Daniel Workman, “Crude oil imports by countries”, WTEx, March 14, 2017), and the Kingdom intends to secure its share of the Chinese oil market. In this regard, Saudi Arabia competes with Iran and Russia, which are also answering the growing oil needs of China (Jean-Michel Valantin, “The Russian Arctic meets the Chinese New Silk Road”, The Red (Team) Analysis Society, 31 October, 2016 and “Iran, China and the New Silk road”,The Red (Team) Analysis Society, January 4, 2016). It must be noted that those very countries have already developed deep ties with China. 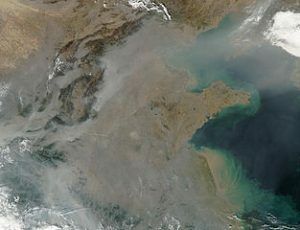 The construction of Sino-Saudi refineries in China and in Saudi Arabia is in itself a strategic evolution, because, for China, the increase in petrochemical capabilities is absolutely necessary to answer its needs not only in crude oil, but also in oil products, for combustion engines and for the chemical industry (Manan Goel, “Vast majority of 7.1m bpd of new distillation capacity to come from Middle East, China and wider Asia-Pacific », Khaleeji Time, May 7, 2016). Moreover, the Chinese political authorities are committed to a national energy transition, in order to alleviate the importance of coal in the Chinese energy mix. Indeed, coal ash severely pollutes not only the air, but also the water, and endangers agriculture and collective health, thus becoming for China a national health and political issue (Joseph Ayoub, “China Produces and Consumes almost as much coal as the Rest of the World Combined”, Today in Energy, US Energy Information Administration, May 14, 2014 and Jonathan Kaiman, “China’s toxic air pollution resembles nuclear winter, say scientists“, The Guardian, 25 February 2014). From the Chinese point of view, integrating Saudi Arabia to the New Silk Road initiative is a major geopolitical step. The New Silk Road, also known as “One Belt, One Road” (OBOR), is a strategy aimed at ensuring the constant flow of energy resources, commodities and products that are necessary to the current industrial and capitalist development of the 1,4 billion strong “Middle Kingdom” (Jean-Michel Valantin, “China and the New Silk Road – From oil wells to the moon … and beyond”, The Red (Team) Analysis Society, July 6 2015). Since 2013, China has been deploying the NSR initiative, which attracts the interest and commitment of numerous Asian, African and Middle Eastern countries. As we detailed previously, the New Silk Road is a new expression of the Chinese philosophical and strategic thought (Valantin, “China and the New Silk Road: the Pakistani strategy”, The Red Team Analysis, May 18, 2015). It is grounded in an understanding of the spatial dimension of China, in the geographic sense, as well as in a comprehension of the different countries that are involved in the deployment of the NSR. Space is conceived as a support to spread Chinese influence and power to the “outside”, but also to allow the Middle Kingdom to “aspirate” what it needs from the “outside” to the “inside” (Quynh Delaunay, Naissance de la Chine moderne, L’Empire du Milieu dans la globalisation, 2014). This is why we qualify some spaces as being “useful” to the deployment of the OBOR, and why each “useful space” is related, and “useful”, to other “useful spaces”. A fundamental “geographic useful space” for China is the Persian Gulf and its member states. As a result, Saudi Arabia is de facto of great interest for the New Silk Road Initiative. In this conceptual framework, Saudi Arabia becomes a useful space for the NSR not only because it increases the Saudi capabilities to respond to the Chinese energy needs, but also because it furthers the opening of the maritime New Silk Road to the Red Sea, thanks to the Saudi ports, as Yanbu and Djeddah. In other words, it improves the access of the Chinese civil fleet to the Red Sea, then to the Suez canal and thus to the Mediterranean markets of the Middle East, the Near East, the Maghreb and Southern Europe. The integration of Saudi Arabia to the NSR has powerful geopolitical consequences for both countries. For China, the fact that the Saudi Kingdom joins its grand strategy installs China even more strongly as the centre of attraction for Gulf Countries (Jean-Michel Valantin, “The UAE and the Chinese New Silk Road”, The Red (Team) Analysis Society, April 26 2017). This confers a mammoth political clout to China, which becomes a de facto “balancing influence” between the Gulf uneasy neighbours and energy actors, and between OPEC and non-OPEC oil producers such as Russia, as all want to be involved with China’s growth, while competing with each others (Martin Jacques, When China Rules the World, 2012). This international competition for the access to the Chinese market is always reinforcing the attraction of the New Silk Road. For Saudi Arabia, integrating the New Silk Road, which has already reached out to more than twenty countries, especially in Asia and the Middle East, is tantamount to an “Asian pivot”. the Kingdom and the United States. Given the importance of the U.S. for Saudi Arabia since 1944, when an alliance was struck between King Abdulaaziz Saud and President Roosevelt, according to which the U.S. committed themselves to the defence of the Kingdom in exchange for a privileged partnership on oil, this move must be decrypted (Michael Klare, Blood and oil, the dangers and consequences of America’s growing dependency on imported petroleum, 2004). A key to understanding what is happening lies in the U.S. energy policy that supports the development of shale oil and gas operations and, as a result, competes with the Saudi production while forcing energy prices down. The U.S. becoming an economic threat, the Kingdom finds new alliances to support its development through its economic strategy of diversification (Jean-Michel Valantin, “Oil Flood (1): The Kingdom is Back” and “Oil Flood (2)- Oil and Politics in a (Real) Multipolar World”, The Red (Team) Analysis Society, December 15, 2014, January 12, 2015). For now, the military component of the alliance with the US remains as it is, because Saudi Arabia remains a main oil exporter for America. 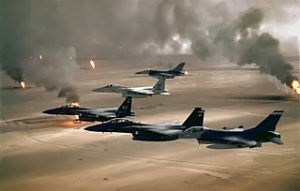 The “Saudi-Asian pivot” finds an interesting expression through the building of a Saudi naval base in Djibouti, which already hosts French and American bases, while China is completing the construction of its own naval base (Jean-Michel Valantin, “Militarizing the Maritime New Silk Road – in the Arabian Sea”, The Red (Team) Analysis Society, April 19, 2017). In the same time, Japan is starting the construction of a naval base of its own (Julian Ryall, “Japan to expand military base in Djibouti”, Jane’s 360, 14 October 2016). In other terms, Djibouti is now the place that supports the “African and Middle East pivot” of China and Japan, and the “Asian pivot” of Saudi Arabia. 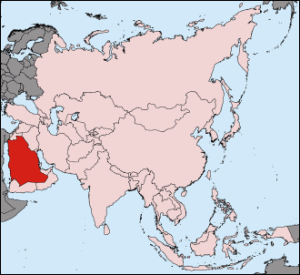 The presence and influence of France and America is thus relatively saturated and diluted by the spatial convergence of the NSR in their immediate neighbourhood, while Saudi Arabia – also using reciprocally the NSR – and Japan prepare their own forms of projection towards respectively Asia and the Mediterranean world. One of the potential fundamental geopolitical uncertainty generated by this development is how other strategic Middle East countries, especially Egypt, which owns the key access to the Mediterranean Sea through the Suez Canal, are going to position themselves as far as the Chinese New Silk Road is concerned. Featured image: One Belt, One Road – China in Red, the members of the Asian Infrastructure Investment Bank in orange. The 6 proposed corridors in black, 14 May 2017, by Lommes (Own work) [CC BY-SA 4.0 ], via Wikimedia Commons.